The original wood-based wire snap trap, the Victor Easy Set Rat Trap, 12 Pack, provides instant rodent control and is safe for household use. For effective rat control, each rat trap comes pre-baited with a large, scented plastic swiss cheese trip pedal. The large pedal of this rat trap is easily activated both by rodent interest in food and through accidental contact as rats scamper across the floor to ensure maximum trapping. Once your rodent triggers the pedal, the rat trap immediately springs closed to eliminate the pest on contact. The rat trap can then be easily disposed of for quick and clean removal. These traps use no chemicals or poisons, so they are an ideal rat control device for use around food, water, children and pets. With superior quality and effectiveness, the Victor rat trap has become the #1 selling trap in the world - with over 1 billion sold. Also, Victor rat traps are the professionals trap of choice. 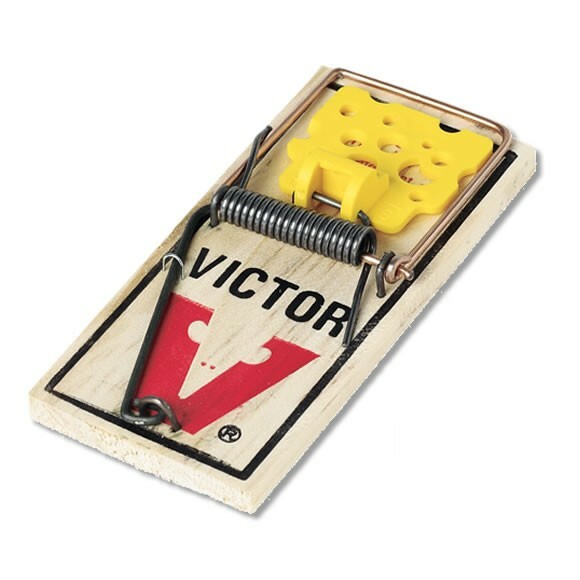 Victor Easy Set Rat Traps are the only traps constructed from environmentally responsible, Forest Stewardship Council certified wood AND are Made in the USA! The 12 pack of disposable rat traps is safe for use around food, water, children and pets. 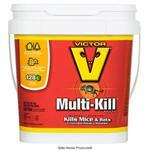 Victor Easy Set Rat Traps are the perfect for use anywhere in the home. These rat traps should be placed where rodents travel, such as along walls at 2 to 3 foot intervals.